There’s a new shooting game that’s just been announced in Japan, called X-Tag. It’s got all the bells and whistles gamers have come to expect from a modern first-person shooter, like team or battle royale modes, multiple weapons with various strengths and weaknesses, and a map screen that directs you to power-ups waiting for pick-up on the battlefield. Like a lot of games these days, you play X-Tag with your smartphone, but it’s actually not a mobile game. The action doesn’t take place on your screen, but all around you in the real world, because X-Tag uses your phone’s processing power to run an awesome game of incredibly advanced laser tag. The X-Tag unit itself is a light gun, powered by a pair of AAA batteries, with an impressive maximum range of 50 meters. It’s also got a 360-degree light receptor on top to register hits. The most important part, though, is at the back, where there’s a clamp for you to put your smartphone horizontally. Using the X-Tag app (a free download for iOS or Android phones), you and the other players synch your phones and guns, with the system acting as scorekeeper and keeping track of how many hit points each player has left and how much time is remaining in the match. You can choose between a two-team grudge match, with up to 16 players on each team, or a winner-take-all battle royale mode for up to 64 players. Right now, that may sound like a pretty standard, if large-scale, game of laser tag, but X-Tag utilizes each player’s smartphone to allow for extremely deep gameplay mechanics. 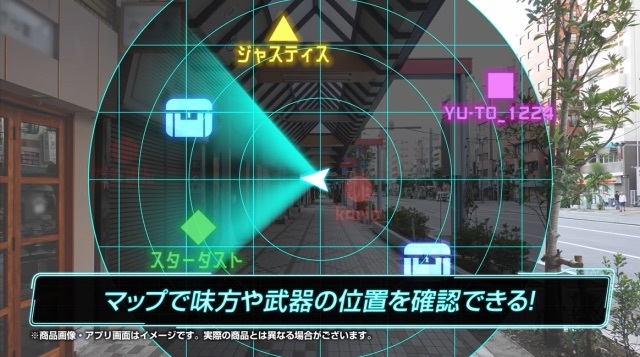 For starters, you get a radar screen that shows where your teammates are (via GPS tracking), and also power-ups, which you can activate by going to the location shown on the map. Power-ups include grenades (which you can toss by drawing a line towards nearby enemies on the radar), health-replenishing drinks (which you can use yourself or administer to wounded teammates, since you won’t die in one hit), damage-reducing armor, and a radar booster that gives a temporary peek at the location of all your opponents. Your gun itself can also be configured as a number of different firearms, such as a pistol, machine gun, or rocket launcher. 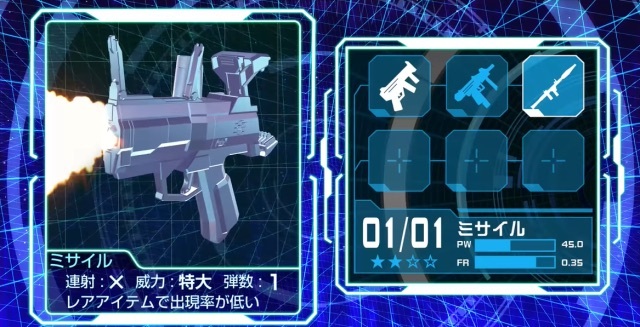 While the physical X-Tag unit itself obviously doesn’t transform, different guns have different rates of fire, ammo capacities, and damage levels. X-Tag even lets you customize an avatar that appears in mid-match chat messages between teammates and the ranking screen once the fight is over. Higher rankings get you more points, which can be exchanged for new clothes, hairstyles, and accessories for your digital representation. 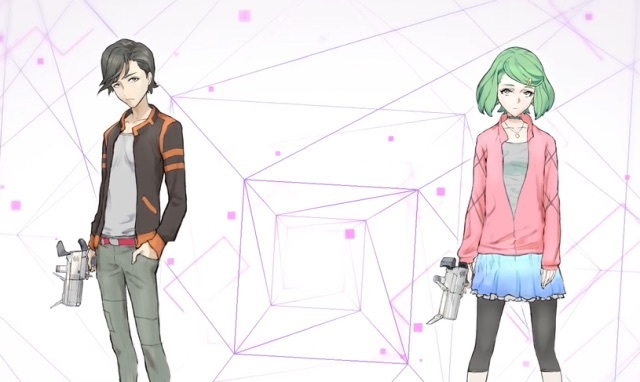 While the game’s stylized teaser video shows its schoolgirl heroine referring to a tablet strapped to her wrist, the actual game only requires your smartphone docked with the gun. Manufacturer Takara Tomy says the X-Tag bracket is compatible with smartphones between 58 and 85 millimeters in width and 13 millimeters or less in thickness. X-Tag is priced at 5,400 yen, which seems pretty reasonable for all this awesomeness. Preorders can be placed here, but the product won’t be shipping until December. Still, it sounds like an incredible Christmas present. -- To eat or to play? Do both with a somen noodle slider from Japan!